Get your corsets tightened and your goggles polished for the second annual Steampunks in Space at Leicester Space Centre this November! 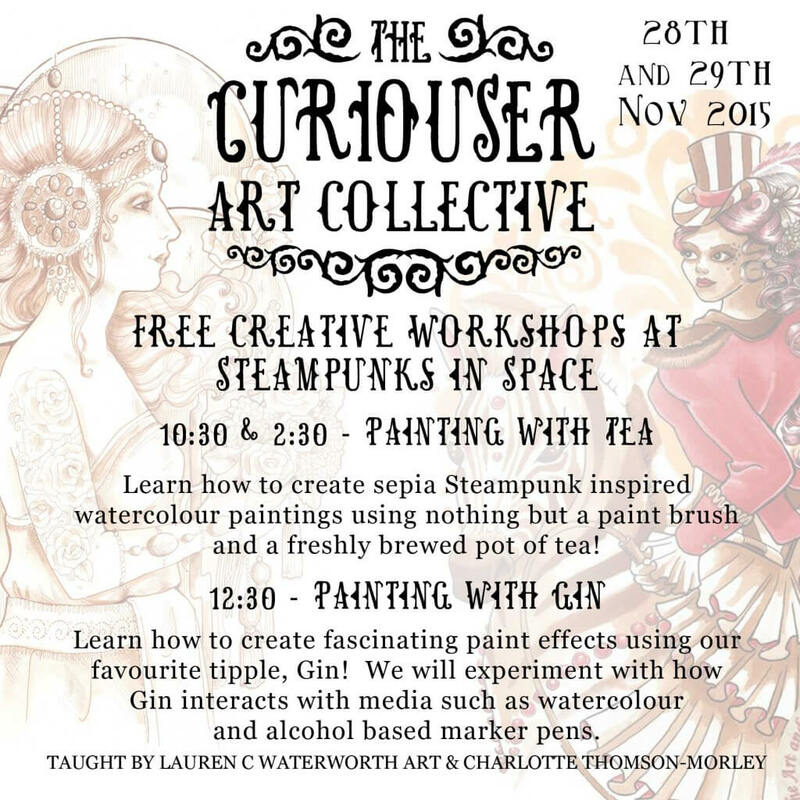 I’ll be there as one half of the Curiouser Art Collective with my good friend and fabulous artist Lauren C Waterworth. In addition to selling beautiful Victorian inspired art prints and gifts we’ll also be running art demos and 3 FREE Creative Arts & Crafts Workshops each day, details of which can be found above! No need to book the workshops, just get your events tickets and drop in to say hi! All materials provided. ← 5 Reasons to have more colour in your life!